Jerry Nelson worked for more than 40 years on numerous projects featuring Jim Henson’s Muppets, including the TV series Fraggle Rock. He suffered from emphysema and died on Thursday in Cape Cod, Massachusetts. A Sesame Workshop statement said he would be remembered for “the laughter he brought to children worldwide”. Jerry Nelson was born in Oklahoma, in the US, and raised in Washington DC. Jerry Nelson’s first job with the Muppets was The Jimmy Dean Show in 1965 – replacing Frank Oz as Rowlf the Dog’s right hand. He went on to work again with Jim Henson on Sesame Street, going on to animate some of the long-running show’s best-loved characters including Mr. Snuffleupaguss. But it was his mathematics-obsessed Count von Count, modelled on Bela Lugosi’s interpretation of Count Dracula, with which he became most closely associated. Jerry Nelson also performed many other characters on The Muppet Show, including Pigs in Space star Dr. Julius Strangepork, the boomerang fish-throwing Lew Zealand, and Kermit the Frog’s nephew Robin the Frog. 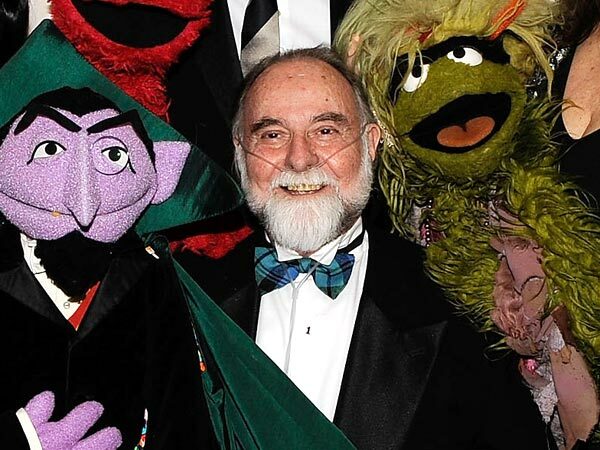 The Sesame Workshop said: “He will forever be in our hearts and remembered for the artistry in his puppetry, his music, and the laughter he brought to children worldwide through his portrayal of Count von Count, Herry Monster, Fat Blue, Sherlock Hemlock, the Amazing Mumford and many other beloved characters. Paying tribute on its Facebook page, Lisa Henson, CEO of the Jim Henson Company, added: “Jerry Nelson imbued all his characters with the same gentle, sweet whimsy and kindness that were a part of his own personality.